In his role, Ernie Fernandez's extensive experience supports the University's many innovative and technology-driven initiatives, and expands our creative approach to how we think about information technology at the U. Prior to joining UM, Ernie served as the general manager of IBM's U.S. public sector market, where he supervised an estimated $5 billion in the corporation's business, serving clients in state and local government, health care, and education. Ernie honed his leadership skills throughout his career with IBM and brings a wealth of experience in fostering collaboration while linking strategy to execution. He has led teams that have helped clients implement smart technology solutions, from enterprise systems to digital transformations; from standard industry applications to co-creating custom solutions with clients. As an executive, he champions a climate where people are engaged, deliver results, and realize their own personal growth intentions. He began his professional career in Lexington, Kentucky, as an IBM marketing representative, served on IBM’s Public Sector Industry Marketing staff in Bethesda, Maryland, and then as Public Sector Marketing manager in Washington, D.C. 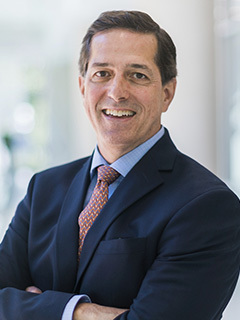 He returned to Lexington as a government and education team leader, and systems business unit leader before moving to the New York area to serve as executive assistant to senior vice president of IBM’s Personal Systems Division and executive assistant to IBM's general manager Financial Services Sector. Ernie earned his M.B.A. with a concentration in finance from Xavier University – Williams Business School in Cincinnati, Ohio, and his B.S. in computer science from the University of Kentucky in Lexington. Additionally, he has been a guest faculty member in IBM's Executive Education program, mentored dozens of professionals, and led an initiative to match high potential Hispanic professionals with executive mentors.